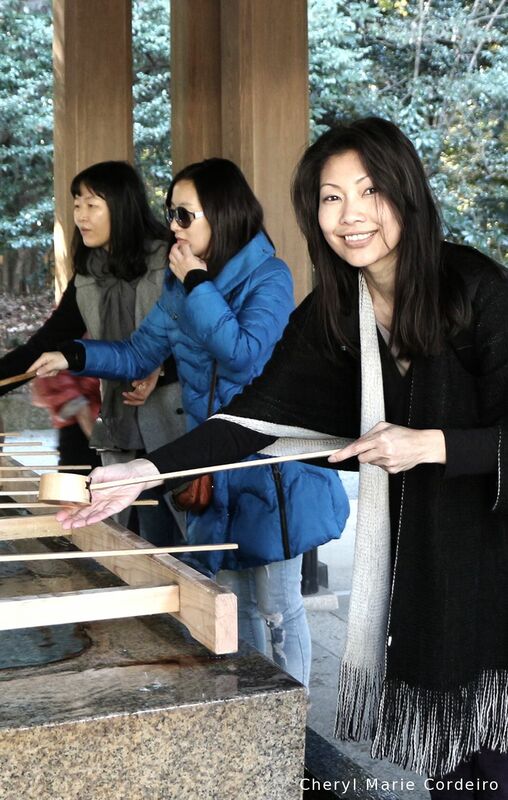 Customary cleansing with water before entering the Meiji jingū in Shibuya, Tokyo. 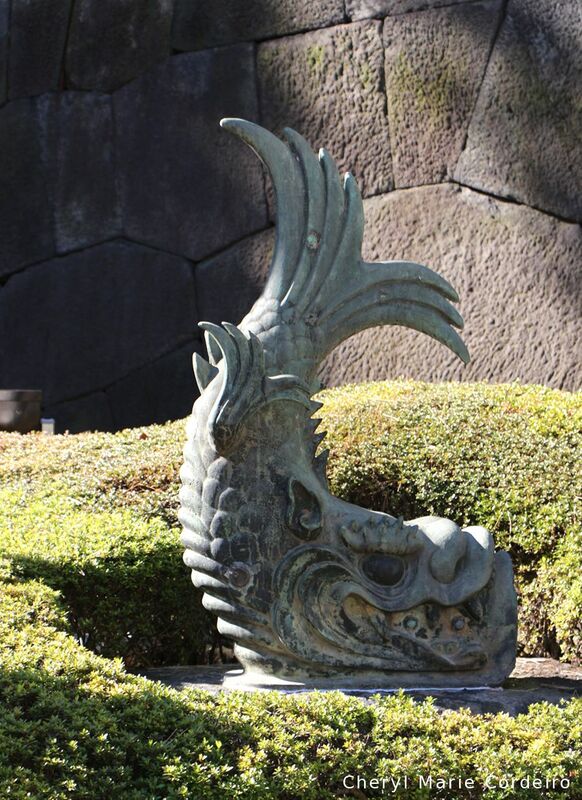 $G: We have a very interesting story about the Sensoji Temple, origin of Sensoji Temple. One day, two grown-ups picked up a statue of Buddha from nearby Sumida River when they are fishing. And at that time they didn’t know what is that. Because the Buddhism was imported to Japan during the sixth century, so at that time, they were commoners so they didn’t know what is that. And they tried to put it back many times. But the statue always found a way to come back to them. So finally the two fisherman together with chief of village, the three people built a place to worship the statue of Bodhisattva. Bodhisattva is a kind of Buddha. And Bodhisattva is known as God of Mercy. And Bodhisattva can save all people from suffering. And the creating of the Bodhisattva became very popular, and a lot of people began to came to the temple to make a prayer. 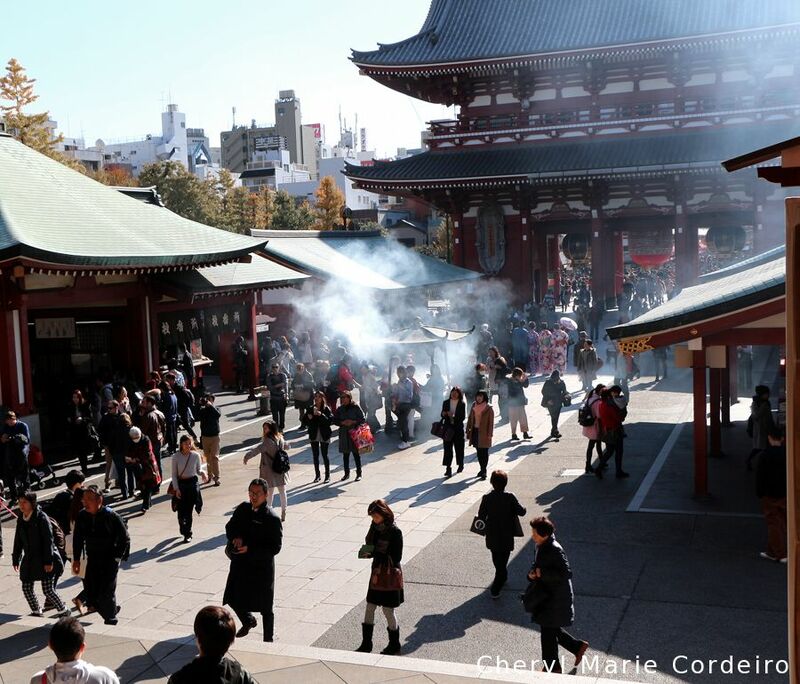 That is the history of Sensoji Temple. 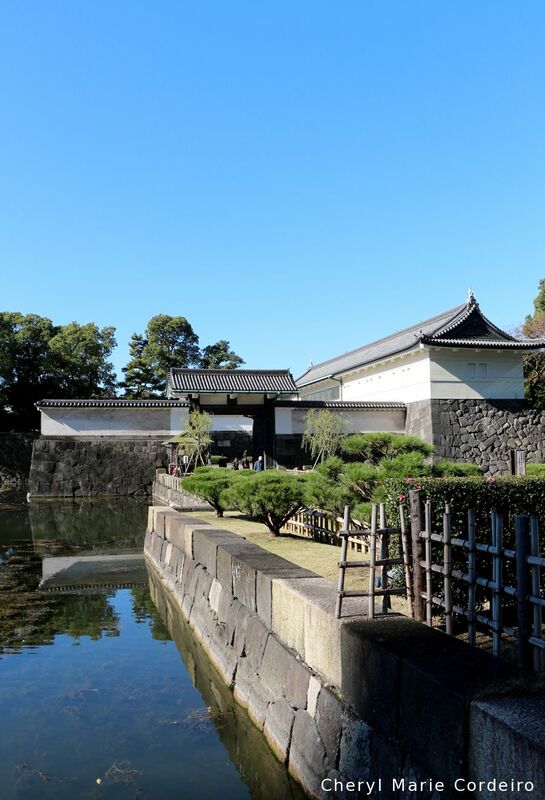 The eastern gate of the Imperial Palace that leads into the east gardens and to the Edo Castle Ruin, Chiyoda. 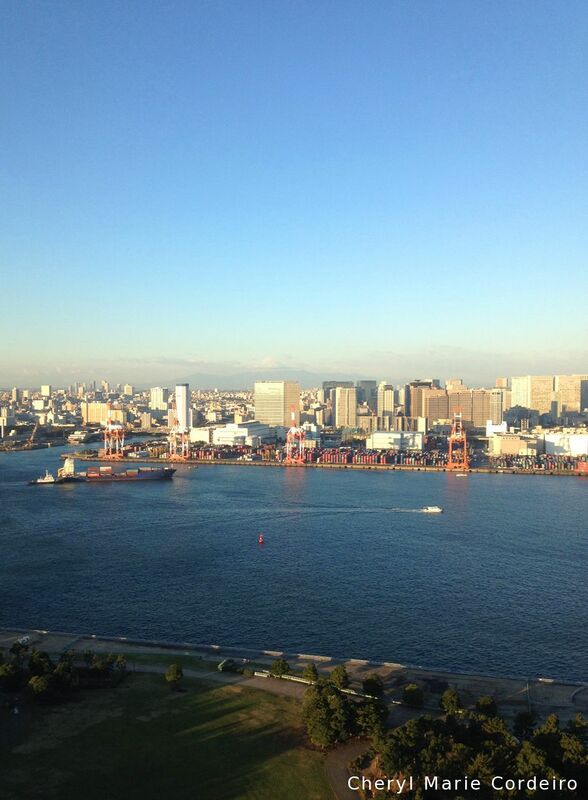 A morning view of Tokyo Bay, from Odaiba. Tokyo’s container harbour framed lightly by its mountainous region in the background. Faced with a declining birthrate and an ageing society, Japan’s Revitalization Strategy was revised in 2014 to include a section on “robot revolution”. It focused on the potential of the use of robots for the solving its social challenges and labour shortages. These ideas ran as core theme to this year’s International Robot Exhibition (iREX 2015, 2-5 Dec.) held at the Tokyo Big Sight, in Tokyo, Japan.